Gagan is a LeadershipCoach and a specialist in the area of people performance with over 28 years of experience. An XLRI 1990 alumnus, heinitially handled a variety of roles covering the complete gamut of the HR function for 10 years. He rounded off his corporate experience by handling business roles for the next few years. Gagan joined Vyaktitvain 2004 as a partner with the desire to help enhance people performance across organisations. Gagan has been working on various Coaching, Organizational Design and Learning assignments focussing on both individuals and organizations. 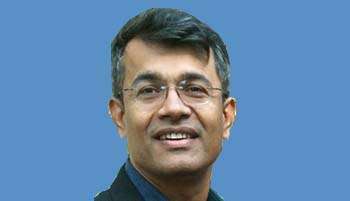 He has designed and delivered solutions for organizations including the Max, PepsiCo, Amex, Unilever, Colgate, Airtel, Genpact, Hewitt, Whirlpool, Accenture, Interglobe, GE, ITC, Hero, RB, Mother Dairy, Ericsson, Cap Gemini, Jubilant, Viacom18, Aditya Birla, Godrej, CK Birla, Star, and IBM. His experience has been across countries, cultures, levels, and industries. He has also done extensive work with owner/ proprietor/ family-run businesses, partnerships, and social sector organizations.